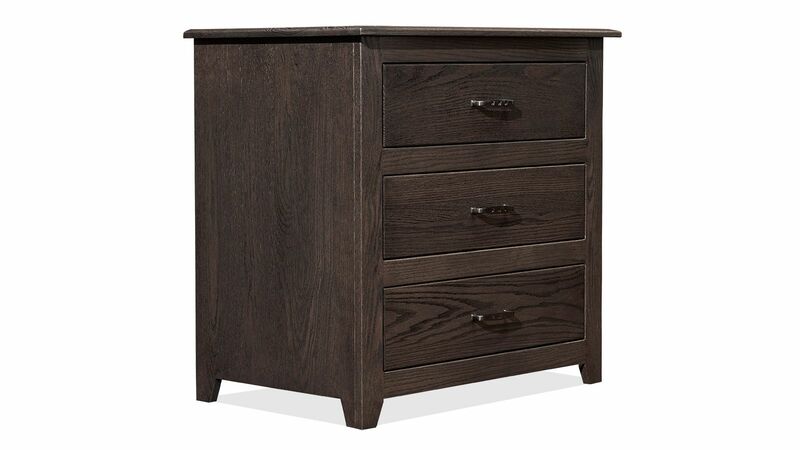 Dark wood grain, standout hardware, and sleek lines all come together to make this petite nightstand a must-have. 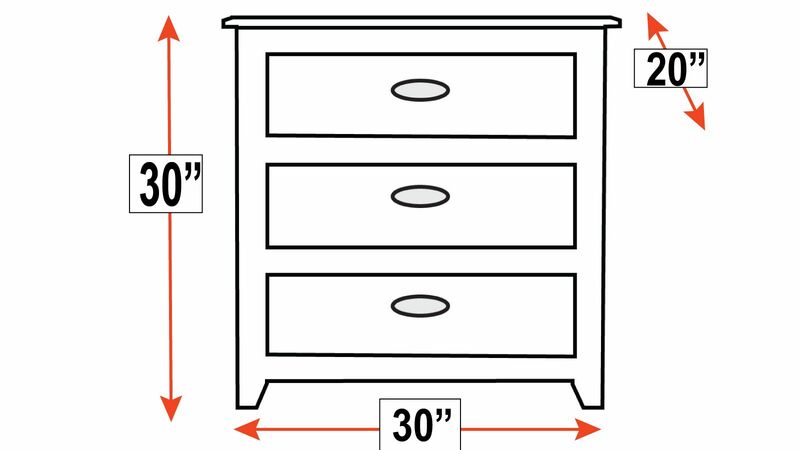 The traditional style is sophisticated yet simple, so you can finish decorating with a gorgeous lamp to jazz up the space. 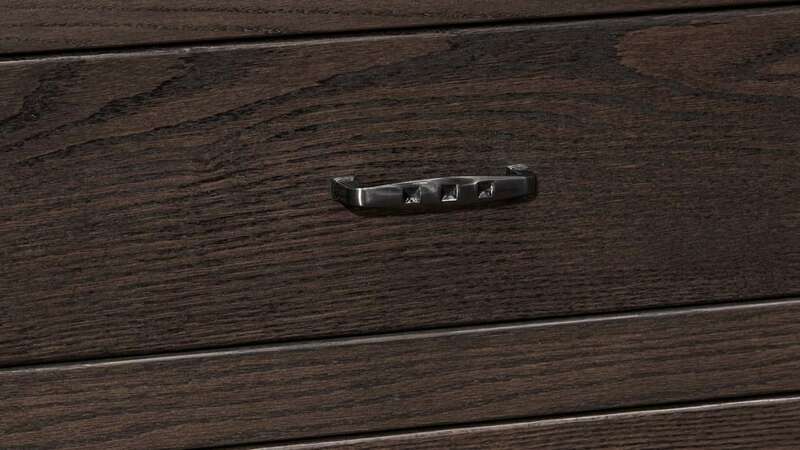 The dark gray finish will blend right in with the rest of this bedroom set. 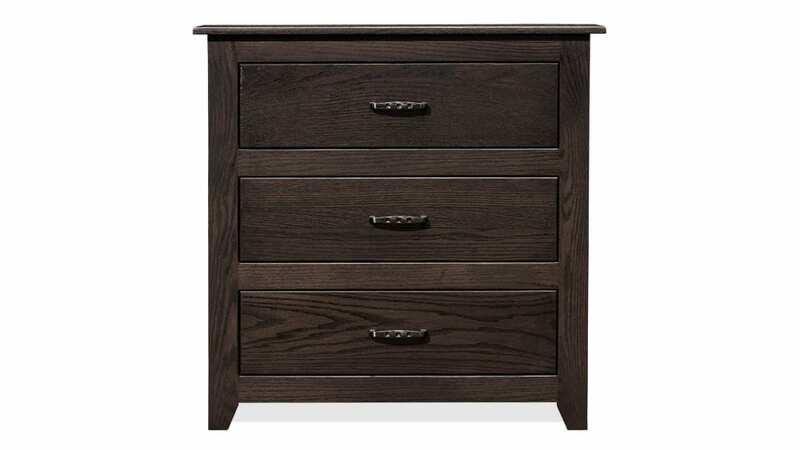 Beautifully crafted from oak wood. 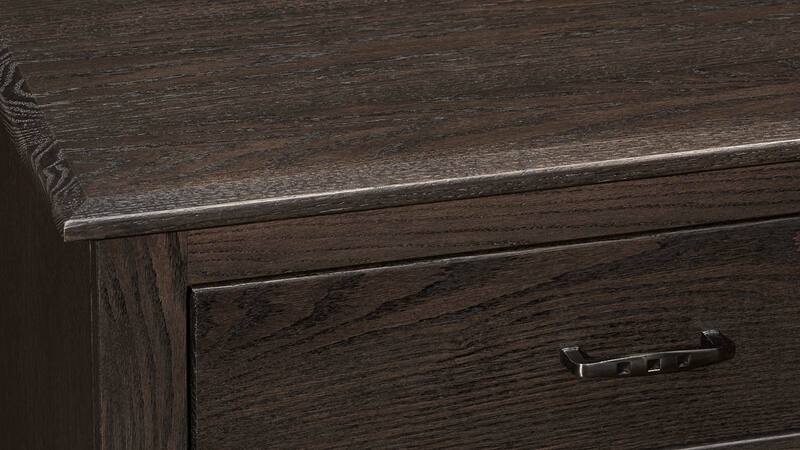 A stunning dark gray finish brings unique warmth to the wood. 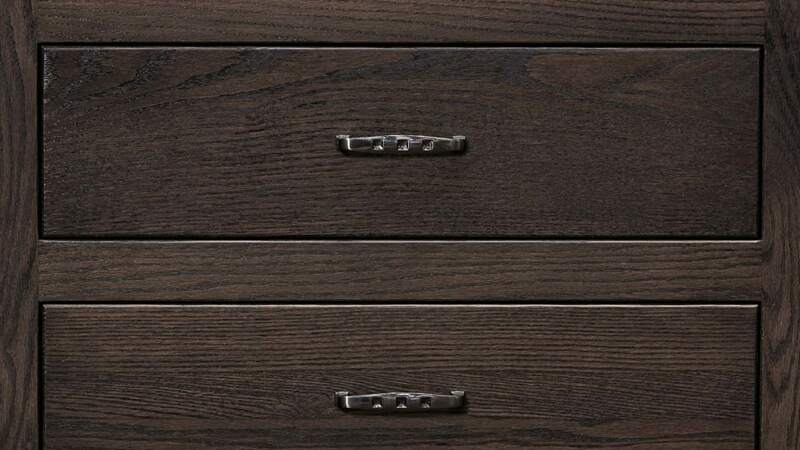 Three drawers allow you to make the most of extra storage space. 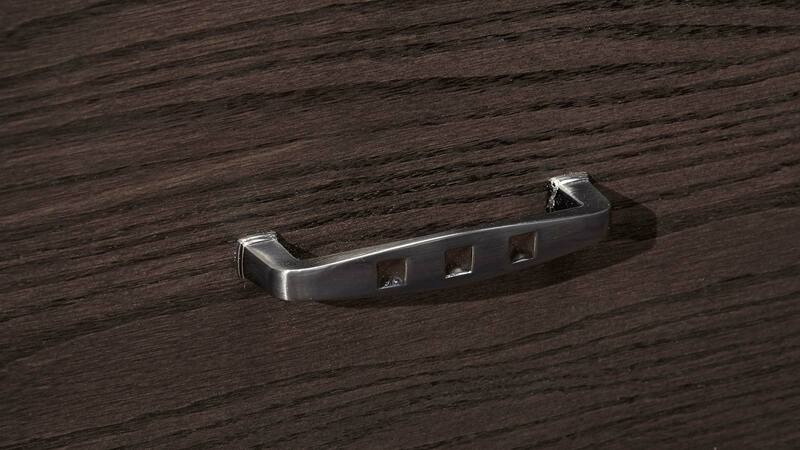 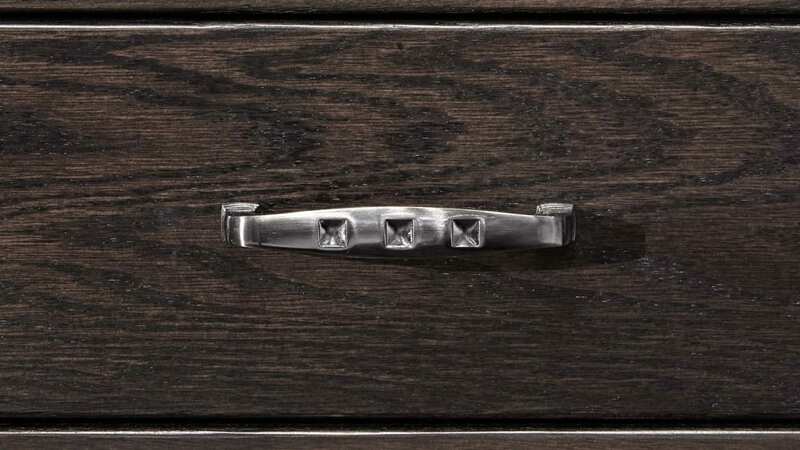 Unique steel hardware features a nailhead indent.